Culture Up is built on individual easy-to-understand modules that help businesses run smoother. Read and watch about them here! You reap what you sow, right? Culture up takes that to a new level with its internal incentive and rewards marketplace. Here’s how it works: employees are given challenges, asked to complete learning & training modules, and several other methods inside the app to earn Culture Up “Tokens”. At any time, they can peruse the rewards marketplace and redeem their hard earned tokens for amazing prizes. Managers, using our desktop admin interface, create and distribute tokens throughout the app, and easily upload new prizes that populate the marketplace. This process provides engaged employees with unique incentives to continue working hard and, importantly, staying proactive inside the Culture Up app. In today’s fast paced world, instant communication is vital. With social media feeds, texting, email, and many others, there are so many forms of digital communication that it’s challenging to find a centralized hub that’s also connected to other parts of the business. Culture Up’s communication module makes it easy to stay involved with meaningful messaging. Managers control threads and content from the intuitive admin interface, while employees on-the-go stay connected through the app. Gone are the days of handing out stacks of paper and out-of-date binders full of required training information for new (and existing) employees. Things change - fast. That’s why access to digital training content is so critical for business owners looking to keep their team up to date on the latest regulations and guidelines. Directly from the admin interface, managers can add, edit, and delete an entire suite of multi-media training modules, from standard text-based reading to video tutorials and walkthroughs. Sometimes a little bit of competition can go a long way. Challenge your employees with extra tokens by being the days sales leader, having the highest customer review score, scoring the most in a large haul, or whatever you can think of to promote healthy competition within the team. From the admin interface, create and manage the challenges, all of which are sent to the workers through the Culture Up communication hub. They can accept (or decline) to participate in the challenges, and then managers have the pleasure of choosing the winners and distributing valuable Tokens for use in the marketplace. One of the most anticipated features in Culture Up is our Career Path module. Historically, this has been a hugely overlooked component of curating healthy empowerment inside the workplace. We are out to fix that. Employees have access to a digital career path blueprint, a set of learning tools, requirements, training, and other miscellaneous modules that prepare and elucidate employees on how to incrementally move up in their company. For managers, not only can you see the progress individual employees are making on their career path, but you can also control all the delivered content, providing a truly custom experience for employees within your company. Let’s make it easy for employees to have transparent communication with higher ranking members of their organization. In the Culture Up “Ask Manager” module, users can select an individual in the “contact” tab. Here, we’ll choose the Regional Manager. Simply write a message, and that gets delivered instantly to the correct person - the beginning of a one-to-one conversation. If you want to communicate with an entire “group” within the organization, click on the “group” tab and select accordingly to begin a confidential conversation. One of the most heavily utilized modules inside Culture Up, the Library is a place to collect important documents for future reference. These can be news articles, training pamphlets, technical specification documents, the list goes on and on. Managers curate the content, employees using the Culture Up app access the content whenever and wherever they are. The library can hold audio files, video content, outbound links, pdf uploads, and written content. It’s all about organization. Use this optional add-on module to create an intuitive workflow of important tasks. Managers can easily create, edit, sort & assign by team member, assign deadline dates, and add notes. Employees using the app can check things off as they are completed, keeping the business informed in real time on how various items are progressing throughout the day. It’s not that existing checklist tools don’t work, it’s just a matter of managing multiple applications when Culture Up provides a seamless one-stop shop. Whoever coined the term “one-stop-shop” knew what they were talking about. It’s not that existing scheduling apps aren’t effective, it’s that, as managers, we already have too many programs to keep track of. Want to control scheduling, time-off requests, and time cards from the same place where you building an exciting rewards marketplace, navigating career paths for employees, and tracking their business communication? Culture Up makes that possible. Use the admin interface to set custom parameters, while employees access the app to stay up to date on their calendar and scheduling needs. Is your company divided into units, teams, sectors, or location? Not a problem. 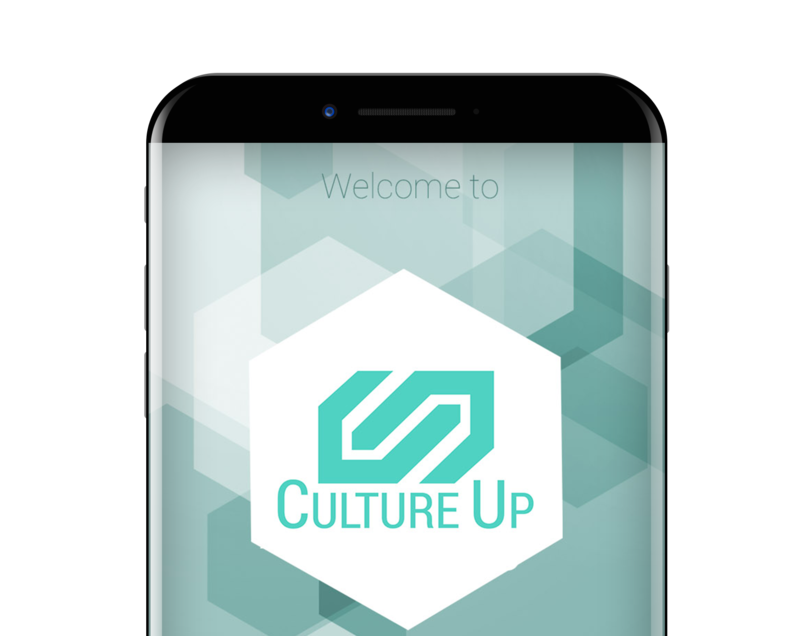 The Culture Up group chat module makes it easy for management, using our desktop admin interface, to create individual communication and action oriented “groups” within the app. This way, people can send important business related messages to only their specific team without inundating the rest of the organization with content that might be irrelevant. We built this feature, like many others, because existing clients were asking for it. We agreed, and are always looking for our users to drive critical functions and features inside Culture Up. It’s a small but effective dose of digital dopamine to see your name at the top of a company-wide leaderboard. Not only does this important Culture Up feature bring happiness to the leaders and motivation to those rising the ranks, it also gives managers a quick snapshot of the team members who are consistently performing at a high level and, possibly, be ready to engage the Career Path module to begin their ascent up the company’s proverbial ladder. The leaderboard data is dynamic, meaning it changes by the minute based on a real-time data feed managed inside the admin dashboard. Click here for FAQ's and dashboard video walkthroughs!